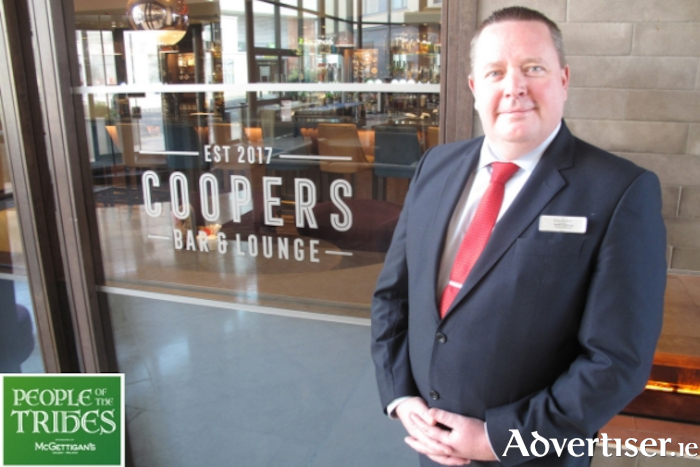 Advertiser.ie - People of the Tribes: Meet Stefan. My name is Stefan, Lundstrom and I've been living in Ireland for the past 20 years and Galway for 6 years. I am General Manager at The Galmont Hotel since June, having spent a couple of years in Limerick. The Galmont is part of the MHL hotel collection and in Galway, the four-star Harbour Hotel and five-star Glenlo Abbey Hotel are sister properties, both of which I managed before moving to the Strand Hotel in Limerick. I'm a keen soccer fan- I don't support any of the big teams like Man Utd or Liverpool, but instead my hometown team in Sweden - Malmö FF. We were in the European cup final in 1979 against Nottingham Forest, which we unfortunately lost. I try to get over and see them play as much as I possibly can, especially big European Cup games and qualifiers. I love Galway and I live in Athenry which is such a fantastic community. You are in the country, but only a short drive from Galway city centre. Galway is very special - the culture, its vibrancy, the music, the people and food makes it very different from any other county in Ireland. It's welcoming, come summer or winter, there are always people with smiles on their faces. If you ever want to say hello, you can visit me in the Galmont Hotel where I am here at least 6 or 7 days a week! People of the Tribes: Meet Paschal. People of the Tribes: Meet Ann. People of the Tribes: Meet James. People of The Tribes: Meet Sharon. People of the Tribes: Meet John. People of the Tribes: Meet Leanne. People of the Tribes: Meet Monica.